Royal Welsh Show president, auctioneer Dic Jones held a very special charity Welsh Lamb auction on Hybu Cig Cymru - Meat Promotion Wales Royal Welsh Show stand - selling a new season PGI Welsh Lamb. 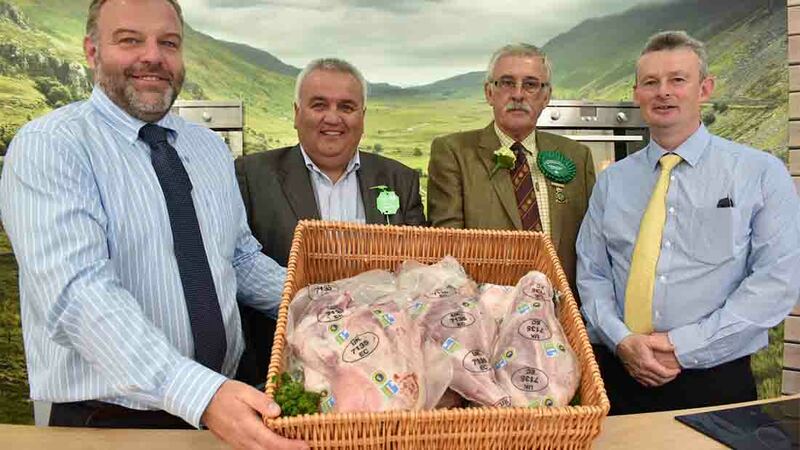 Bought by Dunbia, it was cut into the choicest portions to mark the start of the period when Welsh Lamb is at its best and to look ahead to what will be a special ‘Llamb’s Day’ event on August 1. That will kick off HCC’s summer and autumn marketing campaign for PGI Welsh Lamb in the UK market and be marked with a number of events and celebrations aimed at emphasising the beginning of the new lamb season. “In Celtic tradition, August 1 – Lammas Day or Calan Awst – is the first harvest festival,” says Prys Morgan, HCC’s head of operations.